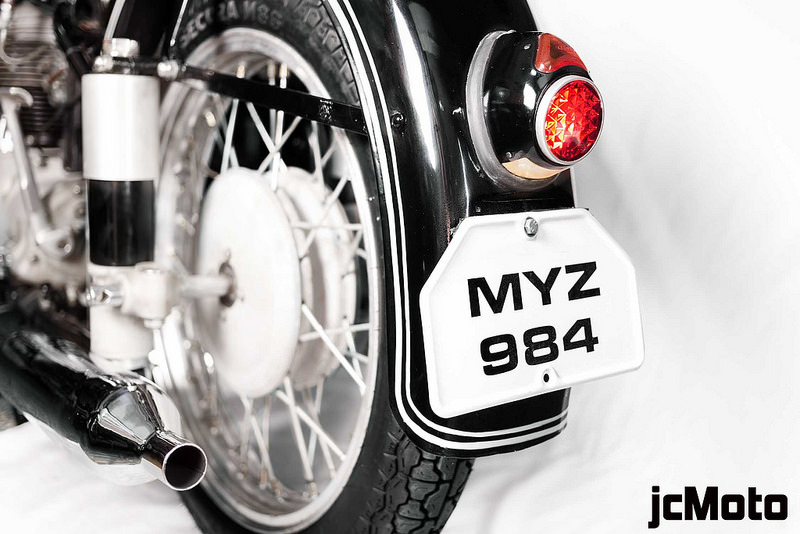 This BMW R25/3 owned by a family of bikers from Coorg is one of the most iconic BMWs in India. 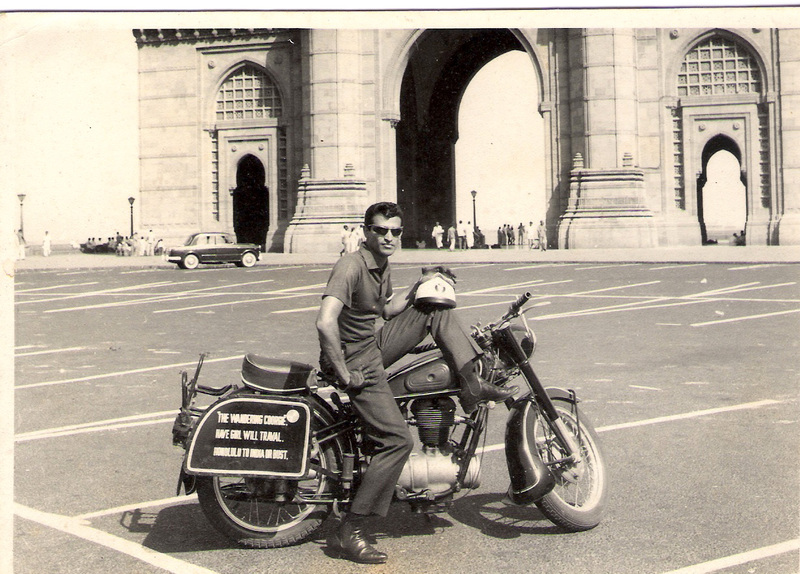 It was ridden by Codanda Nanjappa Jairam, all the way from Germany in the 1960′s on his trip home after college. After his graduation, he was backpacking through Europe on his way home, when he decided to buy a motorcycle and travel back to India. And so he bought a second hand BMW R/25 and rode back via Turkey, Iran, Pakistan to India – back to his home at Boikeri, Madikeri, Kodagu District. To commemorate the 60th birthday of the bike, Jairam’s daughter Sangeetha, a biker herself, decided to celebrate by giving it a complete restoration. Jairam who passed away in 1998 would have been proud of her daughter had he been alive to see his bike in the mint condition it is in now. Jairam married Pandanda Koily Nanjappa in 1966 and moved to Sakleshpur and set up their own little coffee plantation. In 1978 they moved back to Kodagu for good. Jairam was an avid HAM radio operator and a motor and electronics enthusiast even though he never had any formal education in engineering. He built a go-kart in the early 70s, using a 100cc Lambretta engine and he dabbled with remote control planes and the like. He also participated in the K1000 rally in the year 1978 and 1979. Sangeetha too has followed in the footsteps of her father. Once a year she travels to the Himalayas for a trek for 10 days. In 2007, with 3 friends, she went on her first long adventure trip – a motorcycle ride through Bhutan (Bajaj Pulsar180cc). It was a 17-day ride from Siliguri in to Bhutan, and exited from Samdrup Jhonkar into Guwahati, Assam. She said: “After that I did a motorcycle ride through Cambodia (dirt biking – Honda Degree 250cc), Sri Lanka (Yamaha Serow 250cc), The Himalayas (Royal Enfield 500cc and Duke 200cc), Kazakhstan, Kyrgyzstan, Tajikistan (Suzuki 650cc) and Kenya, Africa (Kawasaki KLR650cc). Sangeetha lives in Bangalore and teaches Yoga. Truly a great bike.Had an opportunity to meet Jairam during his last days at Mysore with his son Shiv my close friend. Congrats Sangeetha. Really proud of what you’ve done for your dad remembrance.. Heard a lot about you through common friends .. I did not even dream of a BMW in Coorg that too with MYZ. Number. It’s a happy news for all Coorg classic bikers. I am really proud of ur dad. Hats off to the great biker and u have really done a great job getting it restored and the passion towards bikes. Thanx a ton for this information. Kudos to the daughter. WoW !! This is amazing. Codanda Nanjappa Jairam is one bike enthusiast, Coorgs must be proud of. Keep up the good work, Sangeeta !! 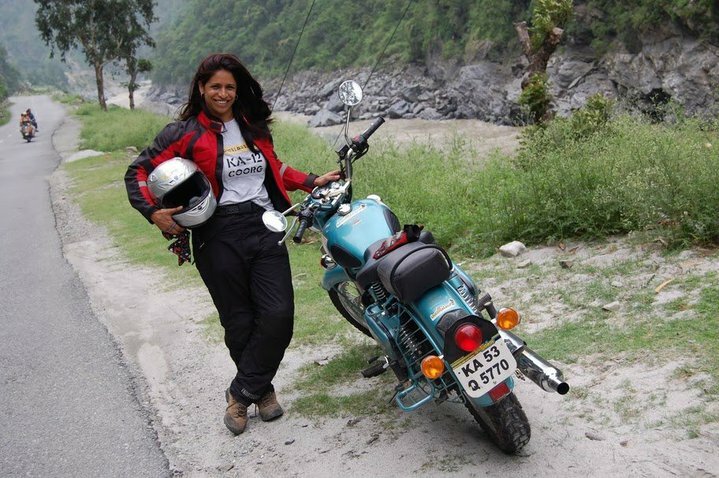 Mighty proud of you Sangeeta, may your biking spirit soar. Congratulations Sangeetha, really proud of you. Your Father sure must have been an amazing gentleman. God bless you always. Very inspiring story of the father-daughter duo! Sangeetha, you’re not only making bikers of Coorg proud but also upholding your father’s legacy.